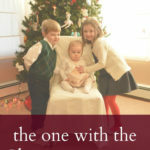 exciting to do for Advent with my kids. at all, she just hides about the house, and my kids love to look for her. pictures, talk to her, and explain what has been going on in their lives. It is actually quite precious to watch. know that Jack wants the chance to find her on his own. 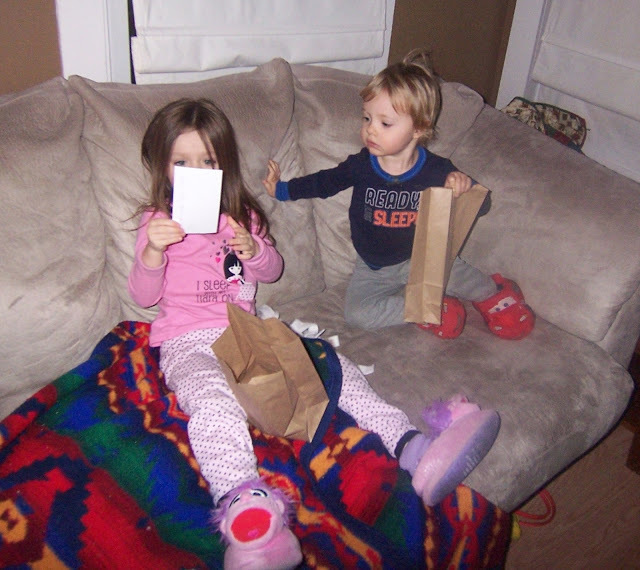 is our Advent Bag tradition. Then the idea of Advent Bags came to me. 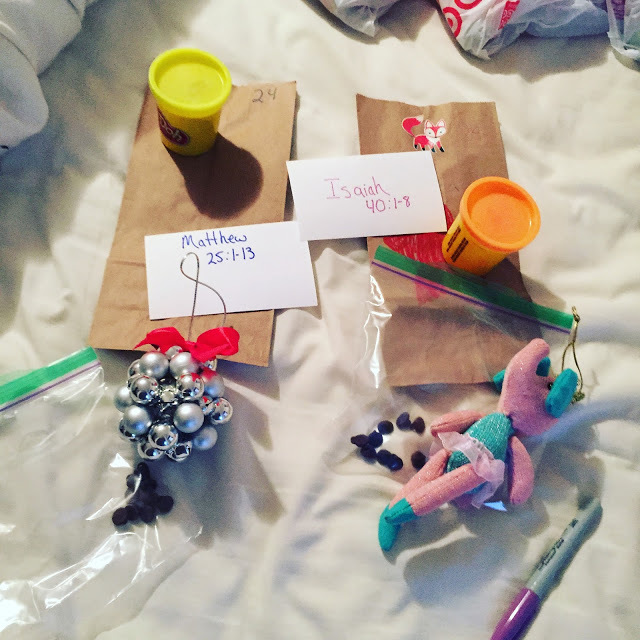 activity or toy or craft, and the scripture reading for the day. our first year of the Advent Bag tradition! when they ran down the stairs to see their bag. car or jar of Play-Doh is something that works very well in my family. when the kids are up earlier than I hope. 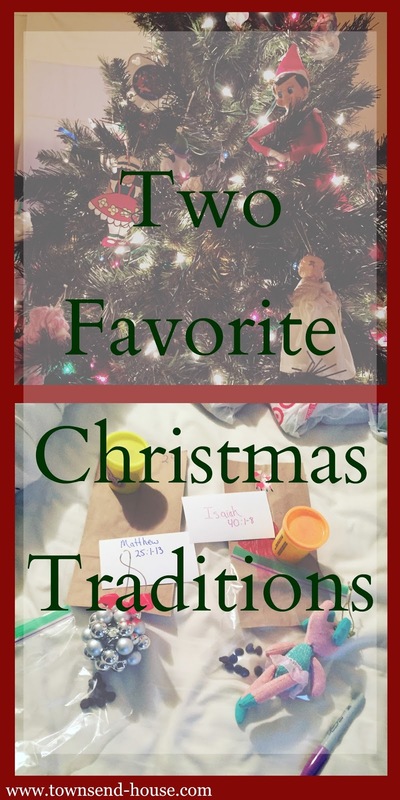 my own childhood Christmas traditions, and I want that for my kids as well. others, and to be as positive a season as you can make it. Previous Post: « Restaurant.com $3 deals for Cyber Monday! Love traditions. Ours is buying a real tree every year (picking one out) and decorating it. My oldest puts the topper/angel on. We have a few more enjoy. We decorate outside and everyone gets a new ornament, my grandmother started this when I was born. I love seeing my son so happy to put his new ornament up. We love our Elf! Sometimes he forgets to move but I'm hoping this year he'll remember every day! This is a great way to avoid the chocolate and sugar! Maybe even go one step further and make bags you can reuse each year? 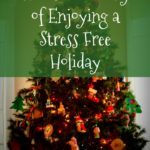 What great Christmas traditions!! I'm loving the Elf on The Shelf tradition!!! I want to get one for next year!!! I love traditions! I treasure mine from childhood and am instilling several in my kiddos as well! 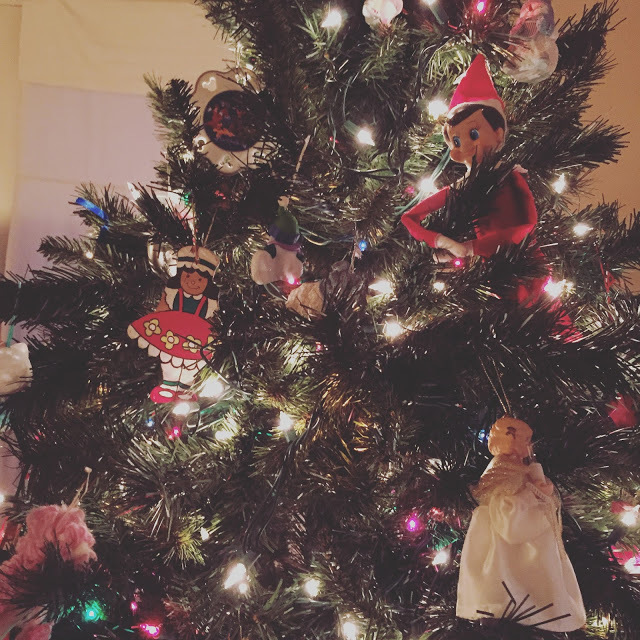 We do a advent for our tree with scriptures and we love it! One of our favorite traditions! 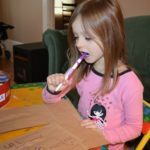 I love your advent bag idea! I love to play the Elf on the Shelf game with my son! 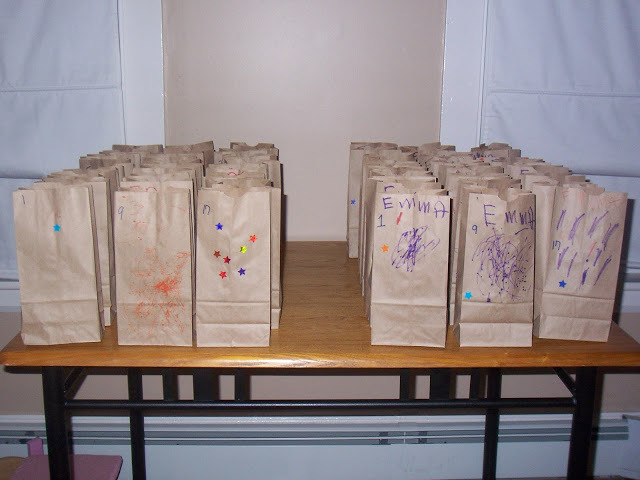 I love the idea of Advent bags! That is a great idea and something I should totally do! Maybe since I'm late, I can do it for the "12 Days of Christmas." Oh seeing their faces would be my favorite part too, love love love that!! Such awesome traditions! Your kids look so happy! We always did advent calendars when I was little and it's been such fun to continue this tradition with my own! So fun! ? I love these traditions. In my family we have many too and Christmas isn't Christmas without them.